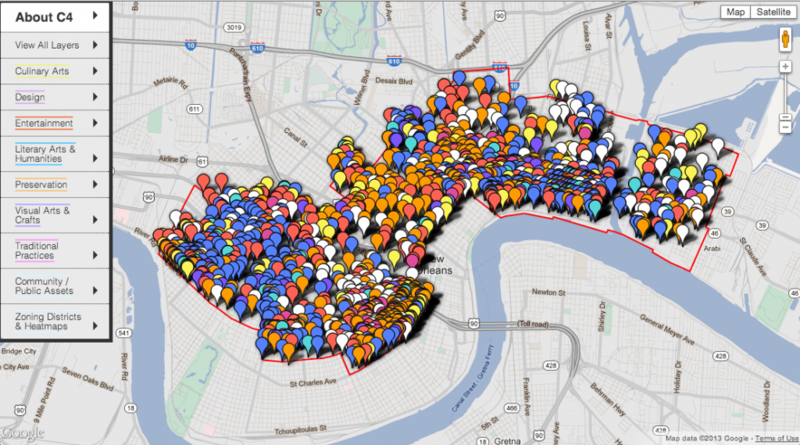 Created an interactive mapping tool for the City of New Orleans. 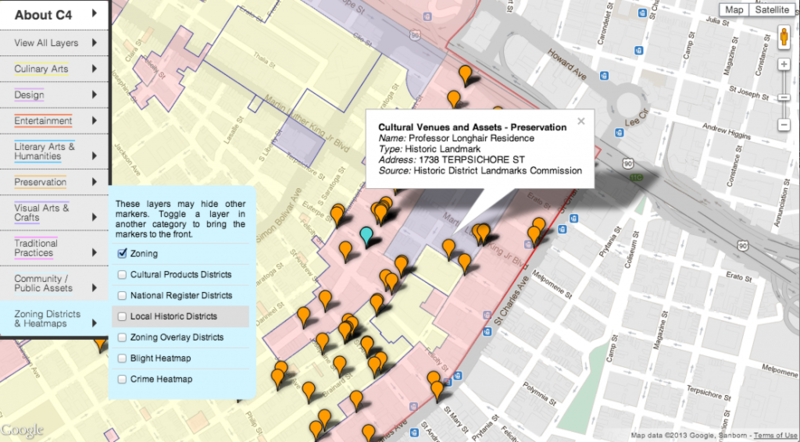 Designed to help the Office of Cultural Economy organize the survey results for the Claiborne Corridor Cultural Collaborative (C4), this tool displays over 5,000 points of data in 56 selectable categories. The user can toggle categories on and off in order to gain a greater understanding of the formal and informal resources around Claiborne Avenue.